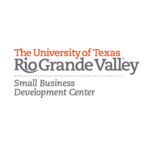 Did you know that the Rio Grande Valley has over 330,000 Millennials? This is approximately 25% of the local population, according to the Texas State Data Center. In 2015, Millennials — individuals between the ages of 18-34 — also became the largest, generational segment in the United States, numbering 83.1 million, per the U.S. Census Bureau. As a small business owner, it is important to note that Millennials exert significant influence on the national and local economy. A 2014 Boston Consulting Group study estimates that Millennials have a $1.3 trillion-a-year purchasing power! It comes as no surprise then that this group is changing how products and services are bought and sold and how businesses operate. The same study also found that Millennials expect a mutual relationship with companies and brands. Through the Internet, social media and mobile devices, Millennials look to interact with businesses, compare and rate products and services, share experiences and influence consumers. For small businesses, however, attracting Millennials may present challenges as these expectations may overly consume limited resources. To offset these challenges, multiple studies and surveys have identified Millennials’ shared behaviors, characteristics and preferences to develop strategies to reach their hearts and minds and – ultimately – their pockets. Small businesses can implement the strategies below to market to Millennials using minimal resources. Mobile Marketing. Millennials are often called “digital natives.” They interact with each other and businesses using their laptops, tablets and cell phones. A mobile-friendly, business website and social media, such as Facebook, Instagram, Twitter and Snapchat are essential to reach Millennials. Owners may appeal to this group by offering special discounts or loyalty programs for social media followers. Featuring shared or tagged photos by customers on social media also creates a sense of validation and shared experiences. Cause Marketing. Millennials highly value social responsibility and often scrutinize the principles, ethics and actions of the business, including their contribution to the community, their interaction with and conservation of the environment, and the protection of customer data. To help demonstrate these values, businesses can promote or host community events, especially those important to Millennials. Some businesses, for example, donate a percentage of their sales for a day to a local, non-profit organization or social cause. Companies such as Google, TOMS, Starbucks and Whole Foods practice social responsibility with extraordinary success and attract countless Millennials as loyal followers. with Millennials. They earnestly seek relationships and are heartened when businesses or brands make an effort to learn more about their interests and needs. Digitally-connected 24/7, Millennials are quick to spread the word about their favorite products and services that strike a chord with their beliefs. Indeed, mobile and cause marketing are two methods that large companies utilize to market to Millennials with great success! For assistance on marketing to Millennials or any other population segment, the UTRGV Small Business Development Center provides no-cost advising and seminars on social media and marketing, market research and other business topics. Call 665-7535 for more information. This article by Alberto V. Espinoza appears in the February 2016 edition of Valley Business Report. Espinoza is a business outreach specialist at the UTRGV SBDC where he provides business advisement and training.